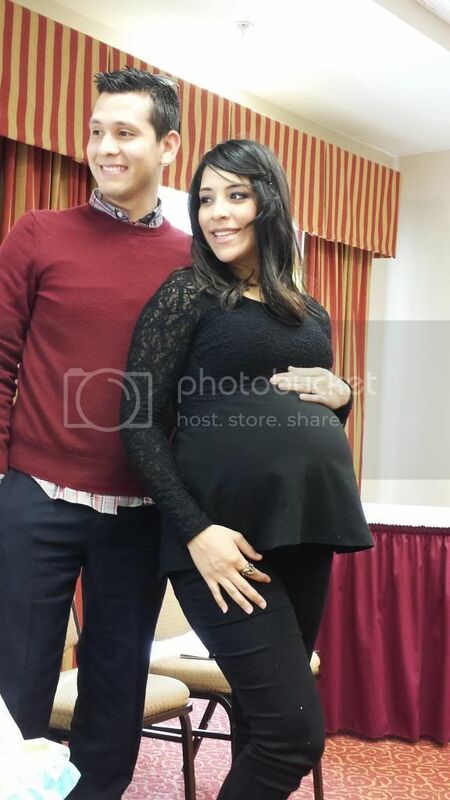 Blogging is sort of taking a back seat right now but I wanted to post two pictures from my baby shower. These are actually cell phone pics since we realized when we were there that I forgot my memory card (?!) for the camera at home. Oh but the battery was fully charged... Of all days right? As of Friday, it was confirmed that my "Braxton Hicks" were not actually Braxton hicks but the real deal. I was hooked up for a little over an hour and my contractions were 7 minutes apart. So other than standing for a quick photo and to cut the cake, I sat down my entire shower. We've had a few scares since then so I am on full on bed rest. Fun stuff I tell you. I'll be posting more pictures when I get them. There were a few other people who were taking tons of pictures. I can't wait to see them! Keep those feet propped up mamma!!!! Hang in there with the bedrest girlie; I can only imagine how tough that is. I'm so glad that despite spending a lot of time resting that you got to enjoy your shower, and looking so lovely I might add!!! 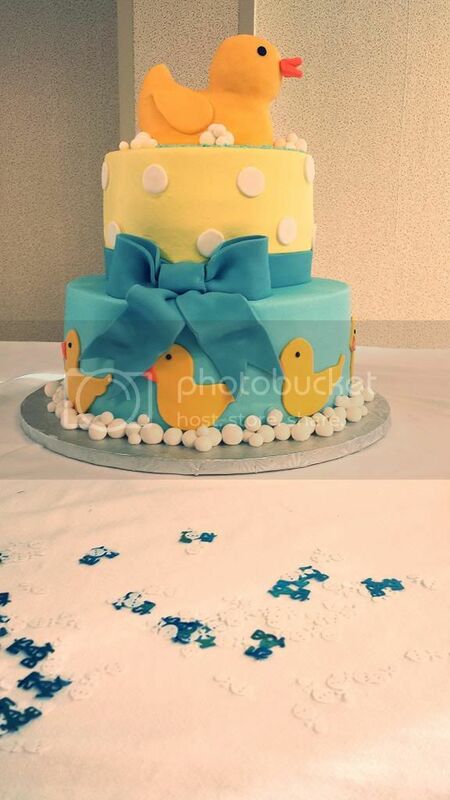 What a cute cake!!! Take it easy (easier said than done, I know!). Bedrest? Not as fun as it might sound. Hopefully it stays uneventful for you though! You two look so cute. Sorry about bed rest, but whatever we can do for a safe pregnancy. Can't wait to see more pics.